Passakorn was first to take guard and won the frame comfortably 90-21 against Mikhail. The second frame went to Russia where Ivan countered Thanawat and snatched the frame 74-37 to make it one-all. 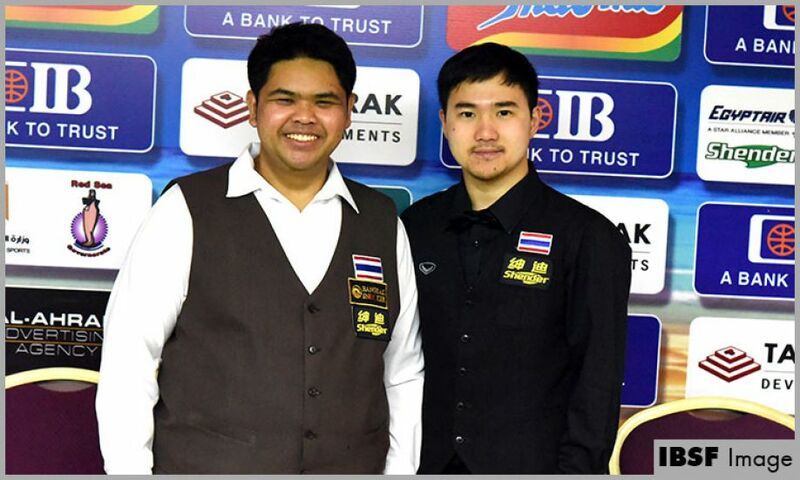 Thailand once again stroke well and took away scotch-doubles frame to keep up the lead but in next frame, Ivan posted frame winning break of 69 points and won that 93-18. Thailand must have realized that same way it will not work and in next two frames they both played more aggressively and posted breaks of 60 by Thanawat in fifth frame and then a scotch-double break of 53 points to close the proceedings 4-2.